The project covers approximately 32 acres along the Indian River Lagoon in Titusville Florida. This park is unique due to having over ½ mile of shoreline. The design process started with a clean slate and through public input and advisory board review the concept design was established. Input was received from the City of Titusville, Brevard County Parks and Recreation Department, the park Advisory Board, user groups, and the general public. 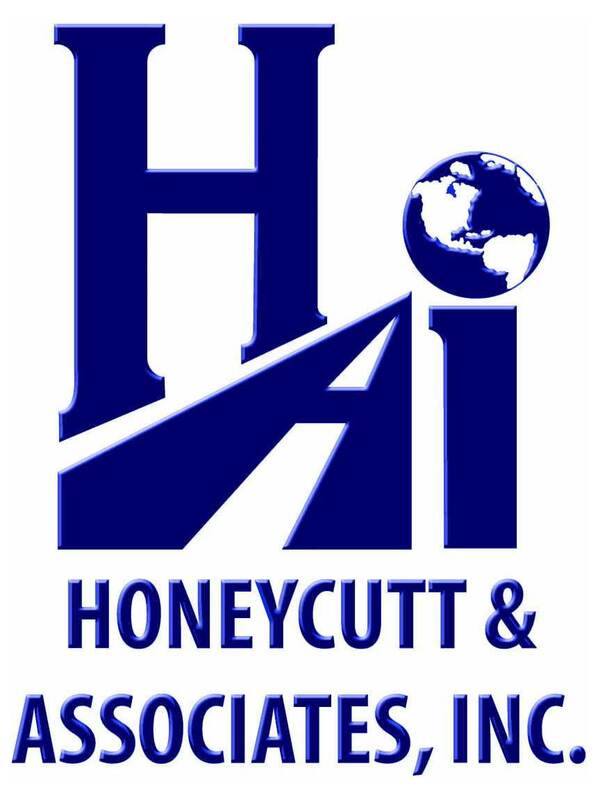 Brevard County Parks & Recreation Department selected Honeycutt & Associates for their planning, engineering and surveying expertise for this project development. HAI’s knowledge of the site, local utilities, codes, geographical parameters and surrounding development coupled with their dedication to quality has assured the client a great project. 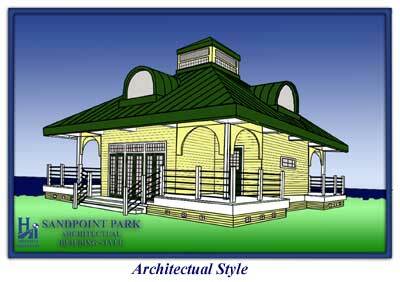 The Sandpoint Park project is located along the Indian River Lagoon in Titusville, Florida. 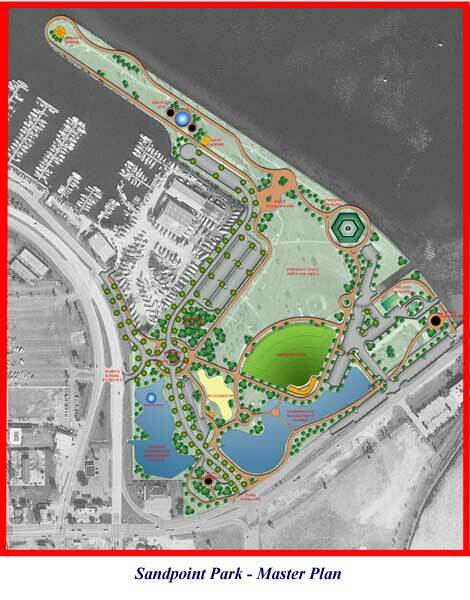 The project consist of approximately 32 acres with linkages to the municipal marina, the downtown redevelopment district, causeway parks, and river access. This park historically has been under utilized as a water front feature and included baseball fields, passive uses and occasional festive events. Through public input, advisory groups, users and governmental reviews a project concept design was created. HAI analyzed the existing conditions of the park to properly address physical concerns and infrastructure needs while being sensitive to project construction cost. This review gave the public, users, advisory groups, and the governmental agencies a better sense of spatial areas, existing uses, potential problems, and future opportunities. Through public workshops the final concept design elements were approved. These features will bring local residents to the downtown core area and bring visitors to our area to play, eat and enjoy Titusville. These features include an amphitheater, extension of the Space Walk of Fame, playgrounds, a model boat activity area, fountains, boardwalks, a lookout tower, and a central festival area. The continued support to the Titusville Yacht Club activities, sailing and boat safety classes, were incorporated. Infrastructure needs such as parking, water, sewer, stormwater and access control were located in areas suitable, keeping impacts to valuable water front property minimum and construction cost down. 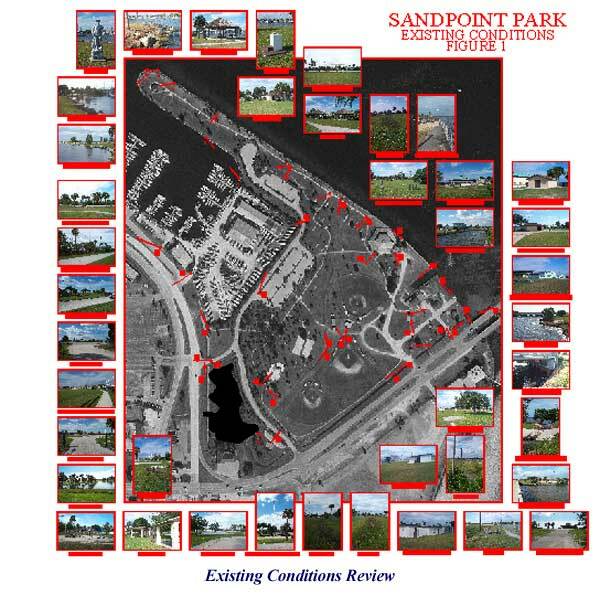 The Sandpoint Park Concept can host the Indian River Festival, arts and craft shows, blues festivals, 4th of July activities, Indian River Lagoon and Manatee education, while maintaining that leisurely summer evening walk character.